Having been accused of misappropriating hundreds of millions of dollars, Gulnara Karimova is now under house arrest in Tashkent; one more indication of the schism that is splitting the ruling family. 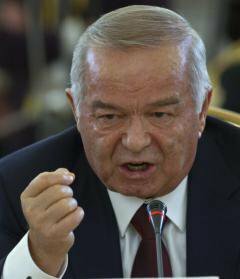 The schism at the heart of Uzbek politics has just widened with the public plea by Islam Karimov, son of Gulnara Karimova, and grandson of the Uzbek president Islam Karimov, to release his mother. Gulnara Karimova and her daughter have been under house arrest since August. Karimova’s house arrest followed the increasing embarrassment to the country caused by her greed and peculation. She had become the classic ‘Mrs 10%’ of deals presented to the government, which landed on her desk for smoothing through the system. As a result she accumulated vast amounts of wealth, sheltered under the roof of the president’s power. There may not be an obvious word to describe a female ‘oligarch,’ but in Karimova we have one. The fear she induced in businessmen, both foreign and local, was legendary and the wealth they yielded to her ran into hundreds of millions, if not billions, of dollars. The fear she induced in businessmen both foreign and local was legendary. Karimova is being investigated in Sweden and Holland for corruption and money laundering. Moreover, the Swiss authorities have announced that they have extended a two-year investigation into alleged money laundering involving the affairs of the Swedish telecommunications company TeliaSonera; and this probe has involved the search of a £12m villa belonging to her in Geneva. While Karimova is under house arrest in Tashkent, those left around the president fight like cats and dogs for her legacy and indeed for his. The country faces an election in 2015 and this will decide the fate of its highly autocratic political system and ruling family. With so much at stake, instability in the run-up to the succession of a president as powerful as Karimov was inevitable. The Gulnara affair has caused increased instability, exacerbated by a host of flagrantly corrupt deals that now promise to cost the country dear in both reputation and financial risk. Whereas once Karimova was referred to as Her Excellency, now she is behind bars, albeit in her own house. President Islam Karimov has shown his ability over the past 25 years to win elections handsomely and decisively. Yet he is 76, it is rumoured (nothing clear has been stated or announced) that he may be ill; and he may therefore be preparing to hand over to a successor. The identity of such a successor is of course completely uncertain. There is no question that at one time, Gulnara herself would have thought herself a shoe-in for president, such were her delusions of grandeur. But it is equally clear now that she is out of the running. Indeed, such is the weakness of her position that speculation runs rife that she will end up in prison for an indeterminate period, or a permanent exile. In a recording published by the BBC in August 2014, Karimova can be heard saying that she and her teenage daughter were being treated ‘worse than dogs’ and needed urgent medical help. The audio messages stored on the smuggled USB stick were recorded in English, an acknowledgment that Karimova did not expect assistance to come from within the country. At one time, Gulnara herself would have thought herself a shoe-in for president, such were her delusions of grandeur. The 42-year-old Harvard graduate and one-time pop diva is indeed deep in the Uzbek wilderness. For years she had enjoyed the role of a glamorous and Western-friendly face of the Uzbek regime. She had created fashion brands (under the ‘Guli’ label), been lauded as a pop star (under the stage name Googoosha) living a high life of fun and frolics with famous stars, and mingled with the glitterati on the international stage. Aside from the fun, however, Karimova was busy misappropriating large amounts of money. The author of the diva’s misfortune is not clear. Some argue it is Karimova herself, who was brought down by her greed and indiscretion. Others see a more political context, pointing the finger at Rustam Inoyatov, the head of the feared security services, the SNB. Karimova and Inoyatov are members of two opposing clans (Fergana and Tashkent, respectively), which have historically clashed in a bid for power. A bitter enmity has long divided the two, and the attack on Karimova may indicate he has persuaded the president she has gone too far in bringing the country into disrepute. It is generally assumed such humiliation heaped on Gulnara cannot have happened without Karimov’s consent, although he may have actively promoted it such was the shame she was bringing on her family and country. In Karimova’s search for a scapegoat on which to pin her downfall, she lighted on her sister Lola Karimova-Tillyayeva. Tillyayeva, who is normally media-shy, gave an interview to the BBC in 2013 stating that the two sisters had not spoken for 12 years. Gulnara said she suspected her sister of conspiring with top Uzbek officials to bring her down. She has now spread her bile to other members of her family, accusing her mother, Tatyana Karimova, of controlling the Abu-Sakhiy market, which, according to Gulnara is ‘the functioning customs window to bypass the country’s economy.’ Gulnara Karimova alleges that her mother’s company plane shuttles back and forth between Uzbekistan, China, Turkey and the UAE. The first stage in Karimova’s humiliation was the closing down of Zeromax in May 2010. In fact, her role in the company is unclear as the Swiss-registered company – once the biggest foreign investor in Uzbekistan – is controlled through ‘strawmen,’ that is intermediaries who serve as buffers for the ultimate beneficial owner. Zeromax had acquired stakes in key sectors of the Uzbek economy, such as gold (through its stake in Oxus Gold), oil and gas (through its stake in Uzbekneftegaz) and cotton production. In addition to enriching herself, Karimova had also used the Zeromax conglomerate to drive out competition by shutting down their operations with court orders to expropriate their assets. One insider blamed Zeromax's difficulties on what he claimed were billions of dollars in credits from the Uzbek government using property and other assets as collateral. It was reported that those loans were not repaid and the money was moved to offshore accounts with ties to the Karimov family. Gulnara's attempts to bully her way into gaining a slice of virtually every lucrative business in Uzbekistan led to American diplomats describing her as a ‘robber baron,’ according to a WikiLeaks cable. An investigation of her personal bank accounts shows balances of over $600m. Karimova had also used the Zeromax conglomerate to drive out competition by shutting down their operations. Another blow – possibly the fatal one – to her prestige has come through revelations concerning a series of reported payments to companies linked to Karimova from Swedish/Finnish telecommunications company TeliaSonera. TeliaSonera has consistently denied any links to Karimova or her companies. TeliaSonera is 37% owned by the Swedish government and is considered a national champion. Payments of 2.2 billion kronor (£187m) were allegedly made in exchange for the granting of a 3G licence in 2007, together with hassle-free treatment from government regulatory agencies. The evidence for Karimova’s involvement is said to be her handwriting on documents, in the form of a series of scribbles, complaints, and queries. TeliaSonera is under investigation for allegedly paying upwards of $340 million in bribes to a Karimova associate so as to gain access to the Uzbek telecommunications market in 2007. It is further alleged that the company was required to spend $55m on a 4G licence which it didn’t need. The funds were paid into the account of Takilant, a Gibraltar based company. Swiss and Swedish probes for bribery and money laundering focus on a group of alleged Karimova associates. In September 2012, Swedish prosecutors opened an ‘aggravated bribery’ case against a number of TeliaSonera employees. Bekzod Akhmedov, who served as Karimova's middleman in some negotiations with TeliaSonera while still employed by a Russian telecommunications company, is a suspect in the Swiss and Swedish investigations. Evidence has also been unearthed showing that TeliaSonera was allegedly asked for $15m to gain clearance from five state regulatory bodies: the state tax inspectorate, customs officials, the anti-monopoly committee, the state communications inspectorate, and the Interior Ministry. One document notes that it is also possible to arrange payment on a per-agency basis, warning that such an alternative ‘will be more expensive.’ TeliaSonera's Uzbek interlocutors specifically offer the option of lowering the fee in exchange for protection from just two of the five bodies. An apparent attempt by TeliaSonera to talk down the price, summarised in the Uzbek document, is dismissed with an emphatic handwritten ‘X’ by the writer, believed to be Karimova. Further down the document, the writer warns associates to bide their time on a contract stipulation about transfers of funds, saying, ‘Don't press this for a while!’ One source (who asked not to be named, citing ‘executive-level’ firings and threats made against TeliaSonera in connection with the case) said ‘If the information in these documents is true, it indicates that there has been direct dialogue with Gulnara.’ He added that fresh evidence linking the company to Karimova could be ‘extremely painful’ for TeliaSonera. Fresh evidence linking the company to Karimova could be ‘extremely painful’ for TeliaSonera. Other documents unearthed by the investigators make direct reference to Karimova's close associate Gayane Avakyan. Avakyan, 30, held the leading role in Takilant, the Gibraltar-based shell company that orchestrated TeliaSonera's entry into the Uzbek market. She is one of the four Uzbek suspects named in the European money-laundering cases. Hundreds of millions of dollars in Takilant assets and other holdings have been frozen in bank accounts in both Sweden and Switzerland. One document dated 8 August 2012 noted that Avakyan was in the process of re-registering several Swiss bank accounts and queried whether any funds should be moved to other ‘structures.’ The handwritten notes believed to come from Karimova say ‘not to touch’ the bank where the accounts were but rather complain that the three-week registration period was ‘unrealistically long.’ It added, ‘At such a speed we'll lose everything.’ Takilant held a minority interest in VimpelCom’s telecommunications business in Uzbekistan from 2007 to 2009, and this has also been the subject of an investigation. TeliaSonera had a local firm of lawyers investigate allegations of bribery, and this resulted in the resignation of the president and CEO Lars Nyberg in February 2013. Four other executives followed him out of the door. The report said that TeliaSonera did not conduct a sufficiently in-depth analysis into the identity of its local partner in Uzbekistan before it invested in the country, or ask how this partner came to own the assets that were later obtained by TeliaSonera. Karimova’s empire shrank further in late 2013, when she was forced to close her Fund for Culture and Arts of Uzbekistan. She promised that she would conclude all the major projects the Fund was administering: Yangi Avlod (New Generation) Festival; the Kelajak Ovozi (Voices of Future) and Yil Ayoli Pa (Woman of the Year) contests; and the Bazaar-Art exhibition/fair. She also guaranteed that all the staff at the Fund Forum would get jobs elsewhere. Her shops, miscellaneous business ventures and radio station were also closed. The pressure on Karimova came closer to home in February 2014 when ten close associates were placed under criminal investigation. Rustam Madumarov, known as Karimova’s boyfriend, and her close business associates Gayane Avakyan and Yekaterina Klyuyeva were being investigated for their alleged involvement in forgery, illegal business activities, money laundering, tax evasion, and the illegal export of large amounts of hard currency. When Karimova's apartment in Tashkent was reportedly searched by security forces, she responded by speaking out for the first time about the lack of rule of law in Uzbekistan. She made allegations of corruption against a number of senior figures in the Uzbek establishment. She attacked the SNB security service, which she accused of creating a climate of terror. Her ire was directed most at Rustam Inoyatov, the inconspicuous yet ruthless chief of the SNB, who found himself at the receiving end of Gulnara's tirade. The desperate search to regain some standing has led her (through the good offices of ‘family and friends’) to hire London-based PR agency Davidson Ryan Dore to spread awareness of her plight. The agency claimed that its client ‘is being held for purely political reasons,’ and released photographs of her allegedly being manhandled by security guards in camouflage while under house arrest. It stated that Karimova's only hope of justice is to be tried in an international court, given the widespread failings of the Uzbek judicial system. Locksley Ryan has said that Karimova wanted the allegations tested in a court of law. He criticised those that attack her from the shadows, rather than in open court. It is understood the recent media appearance of her son, Islam Karimov, was orchestrated through this PR agency. The recent media appearance of Islam Karimov was orchestrated through this PR agency. This is a charitable view of her position. The reputational damage done by Karimova is the last thing that the president wants as his legacy. Massive as they are, her financial shenanigans are as nothing to the president’s brutality and autocratic rule that scars the country to this day. The period of her opportunist seizure of the national wealth, permitted by her father, has now come to an end. Coinciding with the termination of any political ambition has come a full-blooded assault on her wealth. It will be clear to Karimova that her closest relations have cast her out. It looks as if her father has decided that the only way to limit the fallout and hold on to power, is to throw his daughter to the lions.